PMW Pumpen- und Maschinentechnik GmbH website. 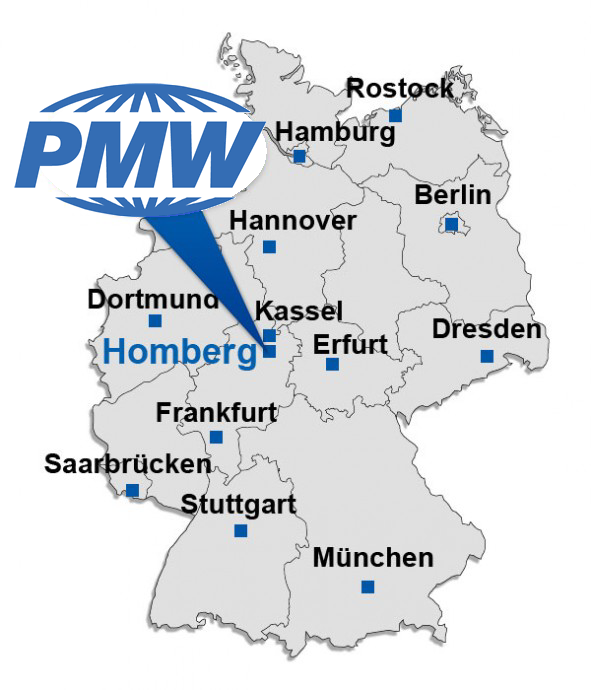 Our company headquarters in Homberg/Efze is centrally located in Hesse, approx. 30 km South of Kassel. This also qualifies our pump technology beyond the borders of Hesse as a partner to industry, towns and cities, municipalities and agriculture in the areas of water and sewage technology. This is further attested by the fact that we are a Flygt authorised dealer for ITT water and waste water in Hesse. As a mature, medium-sized metal-processing company our areas of operation also extend to include special engineering and sub-contract production. In our own in-house CNC machine park we also manufacture our custom-made special machines in addition to made-to-order production. But we also manufacture individual parts for any kind of pump, motor, gear and agitator in consultation with the manufacturer in order to allow short repair times. As our customer we will provided you with a full service both in pump engineering and in special engineering. The „all-inclusive packages“ are designed to maintain customer satisfaction at a constantly high level. 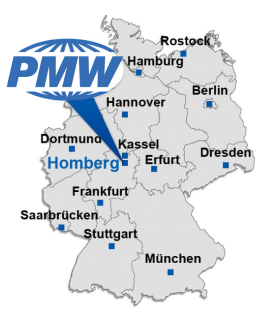 Check out the rest of our website and see the quality of PMW Pumpen- und Maschinentechnik GmbH.